It has been ten years since the population of Gush Katif was ordered to move from their homes. The enforced evacuation was an agonizing episode that has been recorded with tears in the annals of Israeli history. 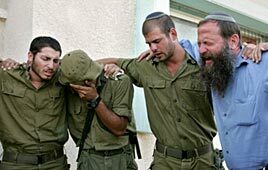 Many soldiers were forced to execute a plan with which they disagreed and images of IDF soldiers confronting Israeli residents during the evacuation were heartbreaking. Even today. Many residents were religious, but there were countless non religious Jews as well. The community of 8,600 were confident that the sand dunes of this ocean side area could be productive farming land and they worked hard to develop this smallest region. In nourishing the desert, Israel gained another area that could flourish. The communities were sometimes small and in the last years, there were times when there were as many soldiers as residents, perhaps even more soldiers, but Israel stood by the efforts of those who perceived value in this stretch of land, while facing daily issues of life and death. Indeed, the residents of the Gush Katif area were in serious danger from Arab attacks. Many thousands of incidents were reported and the settler-only roads leading to the communities of Gush Katif were heavily guarded by the Gaza Division of the IDF. The Gush Katif and Northern Samaria Commemoration Center confirmed that 42 people lost their lives during the years. 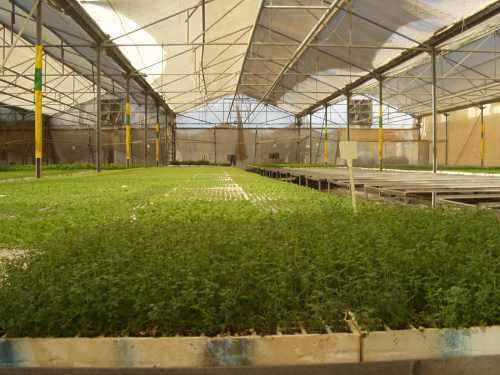 Despite the problems, the Katif Bloc’s greenhouses innovated a technology that grew bug-free leafy vegetables, which fulfilled the strictest health and religious requirements. 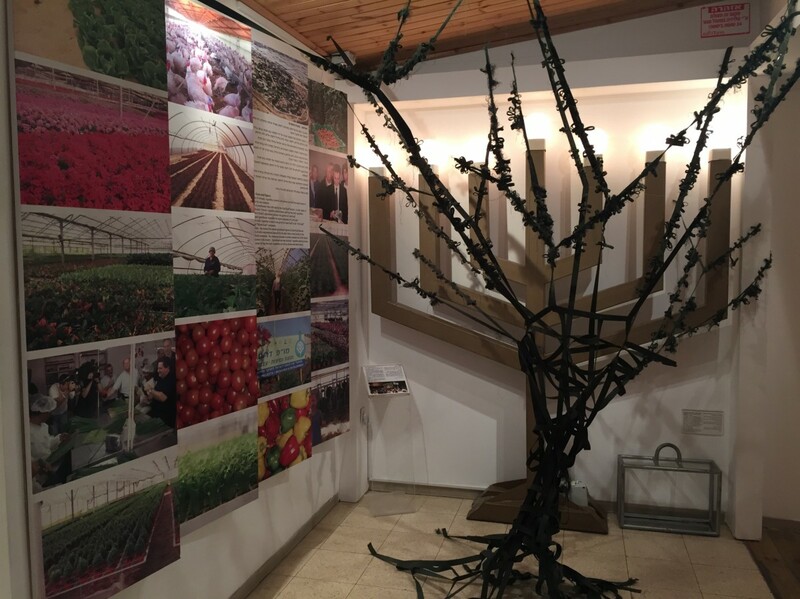 Also, the community of Atzmona grew a plant nursery that was the largest in all of the country and the second largest dairy in Israel was in Katif. And yet, this wasn’t enough. In 2004, Ariel Sharon, then Prime Minister of Israel, made the decision that it was not worth the heartache of maintaining Gush Katif. He presented a plan for the unilateral withdrawal and uprooting of the 21 Gush Katif communities along with the destruction of four communities in the Northern Shomron. There was no mutual exchange of land. Despite intense internal conflict with the proposal that suggested severe civil unrest in Israel, the Disengagement Plan was ultimately approved by the Israeli Parliament a year later. The vote was carried by a majority of 67 with seven abstentions. Security measures were promised by Sharon’s office. “The State of Israel agrees that by coordination with it, advice, assistance and training will be provided to the Palestinian security forces for the implementation of their obligations to combat terrorism and maintain public order, by American, British, Egyptian, Jordanian or other experts, as agreed therewith.” But, this did not come to pass. Although residents knew the date and time when they would be forced to leave, many refused to pack up their family home and it was during breakfast that Israeli soldiers had to enter Jewish homes and evacuate grandparents, parents and children. Many residents subsequently returned to collect belongings, but it was a pitiful event which took eight long days, until August 22nd, 2005. Finally, the homes and schools, the community centers, stores and farms, were dismantled and the land was bulldozed so there was no sign of the vibrant community that had lived on this beachside land, the same land where Jews have lived since the Hasmonean period. The synagogues that were left as World Heritage sites were soon decimated by Arabs in the Gaza Strip. Today, the area is known as Asda’a City and it includes Hamas’ TV and radio station, a recreational park and agricultural land that has been leased to local farmers. Government payouts to those who lost their homes ranged from $450,000 to $750,000, but many families found it difficult to find their way, others made poor investments or started construction on a new home but lacked the funds to complete. Several charities still support those who are struggling. Sarita Maoz is a lawyer and also functions as a community coordinator, while Dror Maoz, her husband, is an architect. Originally from Elei Sinai, Gush Katif, they are married with three kids. In April 2014, their family was the first to move into Kibbutz Palmachim, it is a newly-built neighborhood, with homes that Dror designed. Following the uprooting, the Maoz’s community from Elei Sinai camped out in tents for an entire year, determined to reach a community-wide solution. Kibbutz Palmachim seemed the answer to their prayers. A beachside community, it reminded them strongly of their previous life. It then took nine more years of hard work and bureaucracy issues and they are still fundraising for the synagogue. The Kibbutz never had one, but they have agreed that one should be built for the Gush Katif families. 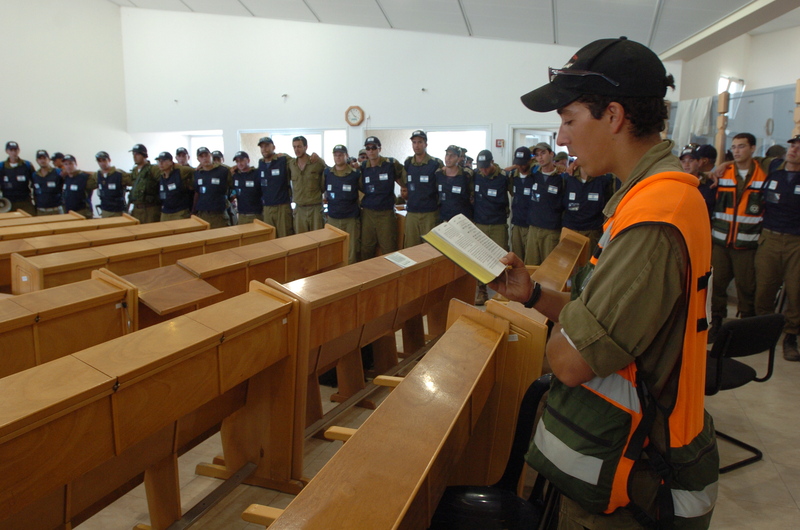 When the soldiers now return to the Gush Katif region, there is no synagogue, no clubhouse, no community to greet them. Perhaps they have returned to the exact same location during subsequent military conflicts, but it would be hard to recognize. The memory of homemade cakes is now just a dream that floats across the devastated hills that were once the thriving community of Gush Katif. JobKatif was founded by Rav Yosef Zvi Rimon and a handful of volunteers after the expulsion from Gush Katif in 2005. At that time, the Rav visited hotels in Jerusalem where hundreds of Gush Katif families were being housed. The Israeli government said the temporary relocation would be for a ‘few days’ but it ended up being upwards of more than half a year. In any event, the Rav quickly realized that while there were innumerable issues the families had to deal with, one of the key issues was unemployment. This was a difficult matter because unemployment for families living in Gush Katif was around 3%. The day after the expulsion, the unemployment rate of the uprooted men and women, skyrocketed to 85%. Only 15% of the Gush Katif families had worked outside of the Gush; 85% worked in the community. The Rav decided to gather some 150 volunteers from around the country, and he put in place a kind of ‘shidduch’ service: matching employees with employers. This was the background to the creation of JobKatif. The basic focus was employment placement. Some 400 individuals made their living in agriculture – Gush Katif was an agricultural success story that has never been topped. Still today, less than 20% of the farmers have returned to farming. So, what can an individual who has been working in agriculture for two to three decades move into when he no longer has a farm to manage? The staff of JobKatif soon realized that new jobs weren’t all that was needed. 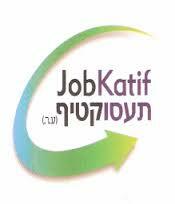 In addition to helping with employment placement, JobKatif created a network of supplementary services to ensure that Gush Katif evacuees could maximize their employment potential. Included in the services were academic scholarships for younger people and subsidized professional retraining programs, employment subsidy programs, small business mentoring and start-up support and bridge to work programs which transformed volunteer programs into paid employment programs. To date, JobKatif has helped 2,650 people find gainful employment. There are more than 100 small businesses operating successfully. Some 600 people took advantage of subsidized professional retraining courses and 203 students received academic scholarships. During 2015 JobKatif has committed themselves to helping an additional 330 people, which would bring the unemployment rate among Gush Katif evacuees to be in line with that of the national average in Israel. There are so many stories of people who have been helped with new employment and they have been able to rebuild their lives. For example, Yossi & Tova Hadad were farmers in Cfar Darom. Today they live in Avnei Eitan in Ramat Hagolan. They tried a few ventures shortly after the disengagement, but nothing really worked for them. Then they turned to JobKatif for counseling help and received assistance in building a business plan for a tourist-focused business. Today, Tova runs their third tzimmer and Yossi runs the tourist-attractions which run throughout the year. Geula Plesser is a neighbor of Tova and Yossi Hadad, and today runs a successful ceramics business. Not only does she sell what she creates, but she runs a variety of one-day workshops for visiting groups as well as an afterschool ceramics program for kids and teens. We have stories of Gush Katif farmers who had a professional retraining and are now operating supermarkets, electrical equipment stores and even pizzerias. For many of the Gush Katif families it was difficult to undergo a major ‘overhaul’ in their thinking. They suffered from trauma, depression and stress. In many cases, personal health deteriorated. For me, personally, the most moving aspect of the story is that Jews around the world reached out to help the Gush Katif families. People very quickly understood that the government was slow in providing practical solutions for the evacuee families and therefore, good Jews around the world ‘stepped up to the plate’ and made the difference. The motivation for this global effort came from a deep place in the heart of thousands of people. Ten years later there are many who still want to help in any way possible. Rav Yosef Zvi Rimon is still a leader in this area and was awarded the President’s Award for Volunteerism and the Moskowitz Prize for Zionism in recognition for his efforts in this field. It has been ten years since Gaza Strip residents were forced out of their homes. From picturesque Gush Katif, to the rolling hills of Israeli settlements in the Gaza Strip and from four small settlements in the northern West Bank. The ticket? Peace and renewed international support for Israel. Still, the government of Prime Minister, Ariel Sharon, argued that remaining in Gaza was too costly in both money and lives. Ariel Sharon said his plan would improve Israel’s security and international status. He promised that the move out of Gaza would lead to an end to the longstanding destruction that was the Israeli-Palestinian conflict. 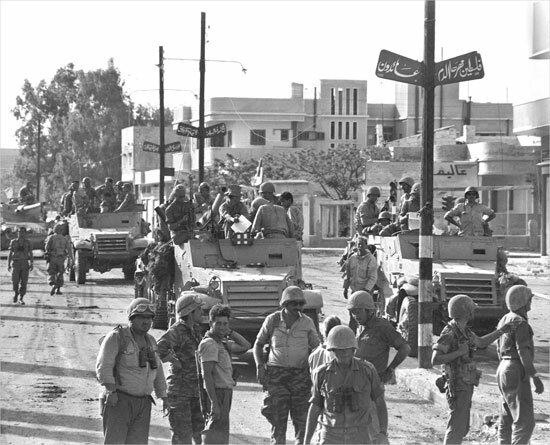 Before exiting through the gates of Kissufim Crossing, the head of Israel’s mission in Gaza, Brigadier General Aviv Kochavi said, “The responsibility for whatever takes place inside falls upon the [Palestinian] Authority.” Later that evening, Major-General Dan Harel signed a declaration nullifying the 6 June 1967 decree, which had established Israeli military rule in Gaza. And so it was that Israel publicly displayed to the world that its most recent 38-year presence in Gaza had come to an end. 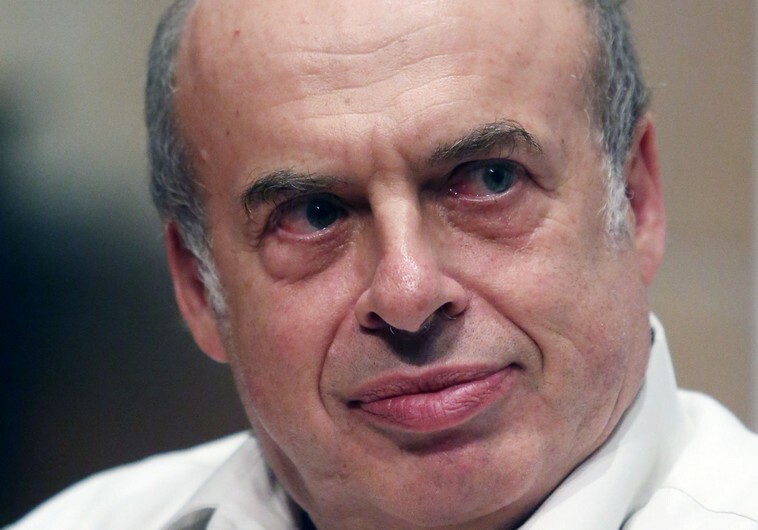 Sharansky said he remembers replying, “You will not have ten days, let alone ten years.” And he was correct; Sharon’s political dreams were far from reality. The withdrawal from Gaza did not bring peace with the Palestinians, nor support from world powers. It did not bring harmony to the region of any kind. Israel is not, and has never been a stronger nation as a result of the evacuation. Moreover, the event permanently shamed Sharon’s otherwise meaningful political career, which was the opposite of what Sharon anticipated. And so it was that Israel, the U.S. and a number of European governments refused to recognize Hamas’ election victory of 2006 and went ahead with an economic blockade on Gaza. This was the background to Operation Summer Rains of June 2006. Prompted by the Palestinian capture of Israeli soldier Gilad Shalit, the small war saw large-scale conventional warfare in Gaza. It was the first major ground operation in the Strip since Israel’s unilateral disengagement plan was implemented. The unsuccessful Operation Summer Rains was followed by Operation Autumn Clouds, launched on November 1, 2006. When Autumn Clouds ended on November 26, with an Israeli withdrawal and ceasefire between Hamas and Israel, there was still absolutely no deal for the release of Shalit. 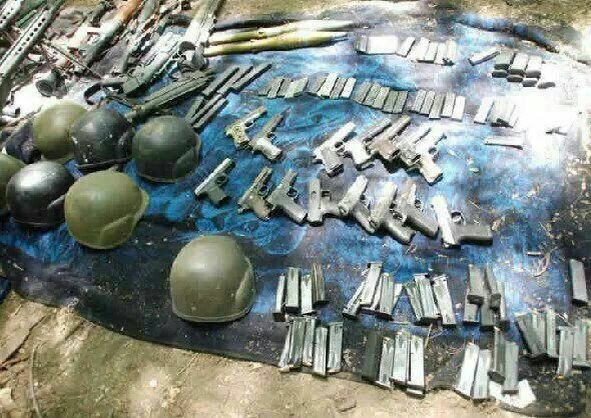 Soon, the ceasefire broke down completely. Worse yet, a dramatic conflict was now being played out by Hamas and Fatah. By June 2007 the Fatah–Hamas conflict had reached a level of severe internal civil conflict that escalated into The Battle of Gaza. Hamas took control over the Gaza Strip and Fatah’s leader and Palestinian Authority President Mahmoud Abbas was forced to relocate to the West Bank where they still maintain control. Seven years later, Fatah and Hamas are talking of forming a unity government, although this has not yet come to fruition. Conflict has never disappeared and once again it flared in November 2012 with Operation Pillar of Defense. Hamas fired over 1,456 rockets at southern Israel, killing 6, including a pregnant woman, and injuring hundreds. Rockets were fired at Jerusalem for the first time and at Tel Aviv for the first time since the first Gulf War. A bus was bombed in Tel Aviv on November 21, wounding 28 civilians. Israel retaliated by bombing hundreds of military sites in the Gaza Strip. The Israeli Air force killed Ahmed Jabari, the second in command of the military wing of Hamas and struck approximately 1,500 sites in Gaza, including rocket launch pads, weapon depots, government facilities and apartment blocks. A cold peace was temporarily constructed. As summer vacation arrived in 2014, Israel was forced into another round of Hamas violence. This time 4,700 rockets were fired into Israel and the infamous terrorist tunnels were discovered. Operation Protective Edge lasted 50 days, with Israeli’s dealing with a barrage of rockets fired from Gaza. The Anti-Defamation League confirmed that, “Over the course of the operation, the IDF uncovered and destroyed 32 tunnels and over 60 tunnel shafts exit points in Israel which were discovered under kibbutz dining halls, in fields near Israeli towns and on the outskirts of Israeli communities all along the border with Gaza. It is estimated that the construction of each tunnel required over 4,000 tons of concrete each, at a cost of over one million dollars.” Hamas bases were thus targeted once again, and of course, some were located where Gush Katif had once stood. If the world were against Israel before the Disengagement Plan, they are certainly no more favorable to the Israeli situation now. 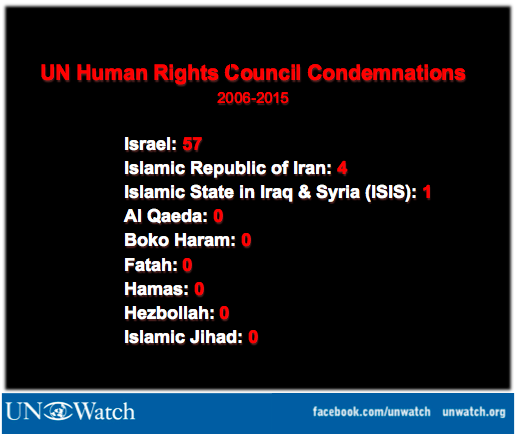 Most recently, on July 10th, the United Nations Human Rights Council decided to adopt a resolution condemning Israel after the July release of the United Nations commission of inquiry on Operation Protective Edge. 41 countries vote in favor of the resolution, only the U.S. voted against the resolution. We are ten years wiser but we are no closer to getting fair support from the nations of the world. Ariel Sharon’s Disengagement Plan did not improve Israel’s security or its international status. Israeli land has always been in short supply and the giving of this land was a gross misjudgment with lasting ramifications. Meanwhile, the longstanding and grueling conundrum of the Israeli-Palestinian conflict doesn’t look like it’s going away any time soon.